It’s another hot and sunny morning at the Orangutan Care Center and Quarantine (OCCQ) in Central Kalimantan (Borneo), Indonesia. At Camp Danielle, the youngest orangutans under the care of Orangutan Foundation International (OFI) staff are out in the Infant Playground and Learning Forest. At the playground, the little orangutans are everywhere, chasing, wrestling and tumbling over each other. It seems to be a normal day at Forest School at Camp Danielle. But wait! Who’s that? All of a sudden, out of nowhere, an orangutan twice the size of the others has burst into the playground. “Caca!” (pronounced “Chacha”) yells out a voice from a distance. It’s her caregiver, Ibu Febby, who emerges out of the bushes and has finally caught up with her escapee. She has pursued Caca all the way from a neighboring camp, Pondok Cempedak. As Ibu Febby pulls out some leaves and sticks from her hair, Caca is already fully occupied ‘playfighting’ with the infant orangutans, who seem to be delighted by her unexpected arrival. This surprise visit is not the first. 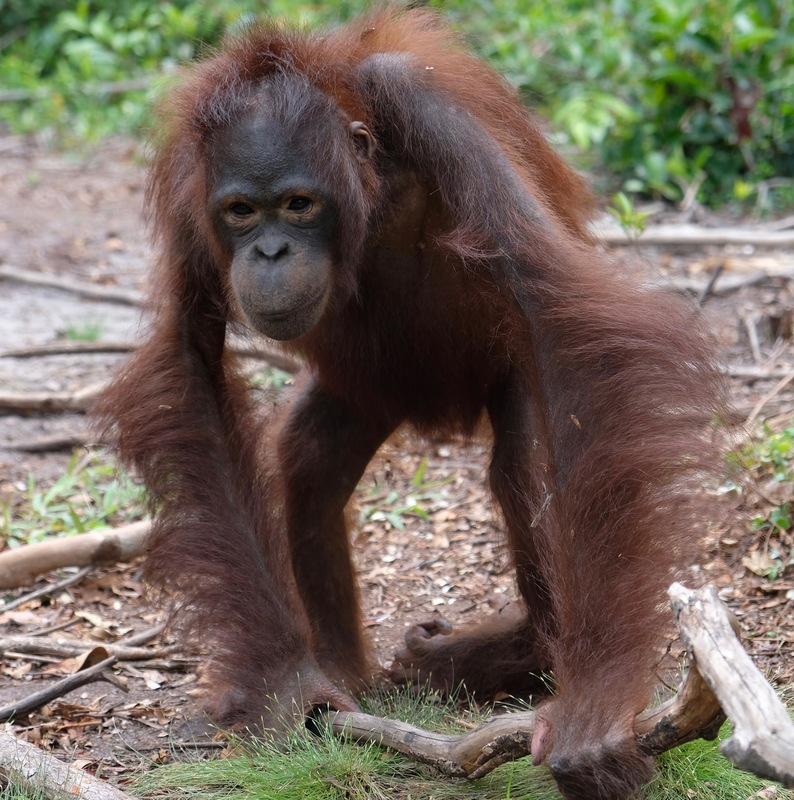 Apparently, juvenile female orangutan Caca likes to “invade” the Camp Danielle area from time to time just so that she can play with the youngsters. 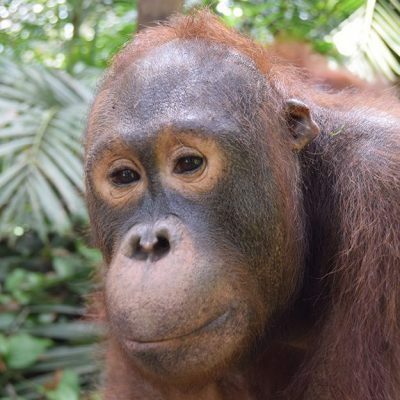 This is how the lovely Caca came under the ‘Orangutan of the Month’ spotlight, and this is her story. Caca was just an infant when she arrived at the OCCQ back in 2011. She was found “abandoned” in the middle of a rubber plantation. OFI was told by a supermarket owner, who brought Caca to OFI, that Caca’s mother “ran away”, but we can never know for certain what really happened. 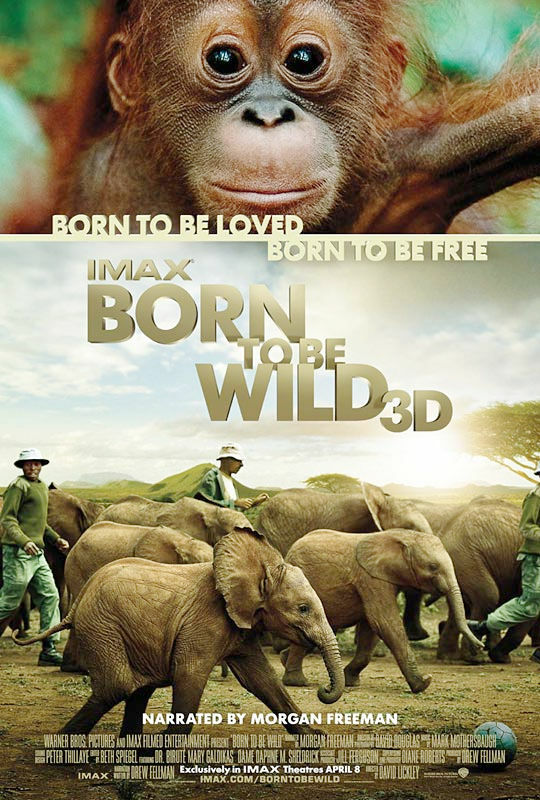 What we do know, however, is that a wild mother orangutan will never leave her baby unless forced to do so. Usually when the infant is abandoned, the mother is dead. Caca first arrived shivering and traumatized but, fortunately, without physical harm and in relatively good health. Despite a tragic start, Caca adapted well to the OCCQ and spent the next seven years growing into the active and agile orangutan that she is today. 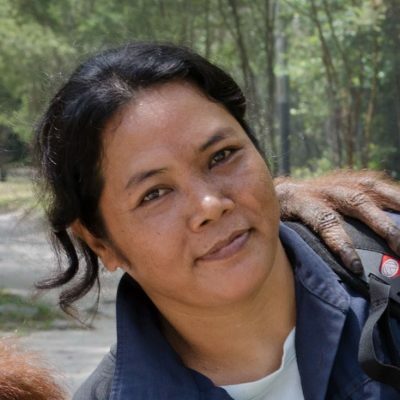 Her first couple of years with OFI were spent at Pondok Dua, where the infants and youngest orangutans were housed prior to the construction of Camp Danielle. Eventually, she graduated to Pondok Cempedak where she currently lives with a number of other juveniles around her age. Caca is blossoming into adolescence with a slender body and a charming face. Caregivers call her “Cantik Caca!”, cantik meaning pretty in Indonesian. Her appearance is a little misleading, though. She might look mature and gentle, but her youthful energy is at its peak. 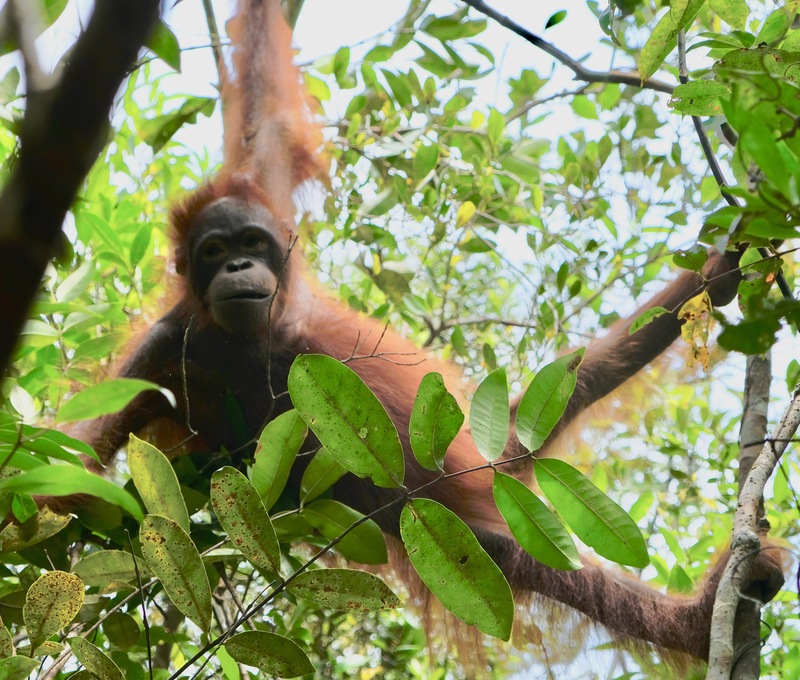 During her trips to the Learning Forest, Caca demonstrates her impressive climbing and brachiating skills. Swiftly making her way to the top of a tree, she moves through the canopy with such quick ease and grace that in a matter of seconds her caregivers will lose sight of her, and before they know it, she has travelled far beyond the confines of the camp. On many occasions, she will find her way to Camp Danielle where we already know she loves to play with the infant orangutans. She can hear the numerous infants frolicking in the far distance. She can’t resist the temptation to join in on the fun. Watching her play amongst the youngsters, it’s easy to forget that she is more than twice their size and age! She’s especially popular with the infant males who seem to be intrigued by her vivacious presence, especially little Otan. Caca and Otan get along so well that the caregivers have even started referring to him as her “boyfriend”! Even after hours of active play, Caca’s energy doesn’t expire. When it’s time to return to her own facility for the night, the caregivers have to lure her with peanuts (her favorite snack) before Caca will say goodbye to her little friends. Other times, Caca enjoys hanging out in the trees, exploring the forest canopy with her best friends Britney, Cri and Jalin with whom she shares a sleeping enclosure. On one occasion, Caca and Britney suddenly spotted a giant weaver ant nest sticking out of the canopy, and both raced from opposing trees to see who could get it first. As Caca reached out with her long arms for the delicious treat, the branch she was holding onto broke and she swung abruptly in the opposite direction. She was not discouraged, however- it’s all fun and games to Caca. She quickly seemed to forget her loss and journeyed back towards the Cempedak Playground to join Cri and Jalin for more play. Caca has come a very long way since first arriving at the OCCQ. In the wild, orangutan offspring will stay close to their mothers until 8-9 years of age. During this critical period, they learn everything from their mothers: how and where to find food, how to process food, how to expertly brachiate, and how to build a sleeping nest. Growing up as orphans, Caca and all other young orangutans under OFI’s care must learn orangutan behavior mainly by themselves, helping and supporting each other as they prepare for a life back in the wild. Caca has made many friends at the OCCQ and has developed into a capable young orangutan. She is sure to grow into an even more able-bodied and competent adult orangutan in the coming years, so that one day, she can return and thrive in the wild rainforests of Borneo. Lovely story about Caca! It is full of energy and the pace matches the exuberance of a young orangutan just perfectly!